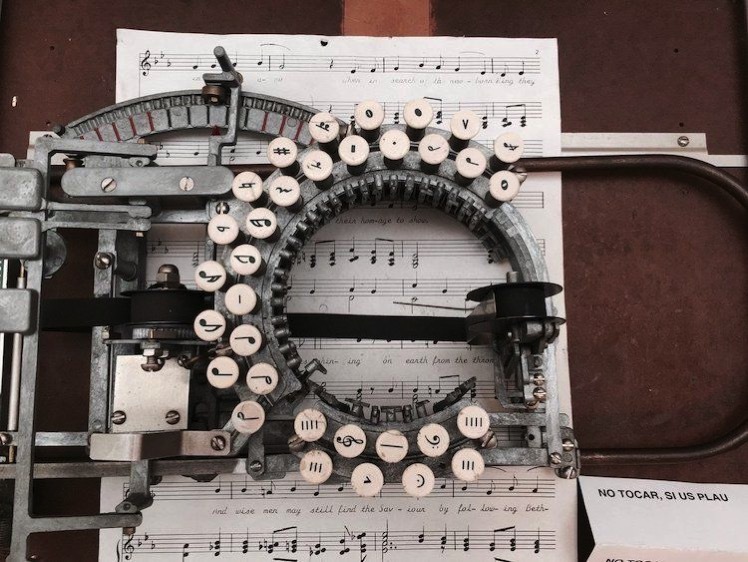 Vintage Typewriter from the 1950s Lets You Type Sheet Music « Adafruit Industries – Makers, hackers, artists, designers and engineers! The Keaton Music Typewriter, first patented in 1936, definitely doesn’t look like a regular typewriter! The 14-key typewriter (later upgraded to 33 keys in a 1953 patent) was sold for about $255 in its time.